DO 'SYRIA,' 'IRAQ' AND 'LEBANON' STILL EXIST? For almost a century, the Middle East has been defined by the nation-states that emerged following the Allied victory in World War I and the end of the colonial era. Since then, strategic analyses of the region have concentrated on the relations between these states, and diplomatic efforts have generally attempted to maintain their stability and the integrity of their borders. As a result, the current map of the Middle East has remained largely unchanged over more than nine decades. But this is no longer the case. The old maps no longer reflect the reality on the ground, and the region is now defined not by rivalry between nation-states, but by sectarian divisions that are spilling across the old borders and rendering them irrelevant. Today, there is a single sectarian war underway across the Middle East, one that threatens to engulf the entire region. This war has a number of fronts, some more intense and active than others, but it is everywhere defined by sectarian conflict, especially the divide between Sunni and Shia Muslims. It is most intense in the area encompassing the current states of Iraq, Syria, and Lebanon; but has also spread further afield—to Bahrain, northern Yemen, and to some degree Kuwait and eastern Saudi Arabia. The core power on the Shia side is the Islamic Republic of Iran, the world's leading state sponsor of terror and founding patron of Hezbollah, which until 9/11 held had killed more Americans than any terror group in the world. The Assad regime in Syria, Hezbollah in Lebanon, the Maliki government and assorted Shia militias in Iraq, the Houthi rebels in northern Yemen, and Palestinian Islamic Jihad are all allies or proxies of the Islamic Republic, which is capable of rendering substantial assistance to its friends through the Iranian Revolutionary Guards Corps (IRGC), a powerful military and economic force that possesses substantial expertise and experience in building proxy organizations and engaging in political and paramilitary warfare. On the Sunni side, the dominant power is the Kingdom of Saudi Arabia, which after 9/11 has been wary of Tehran, but also has struggled against the Islamists of Al Qaeda. 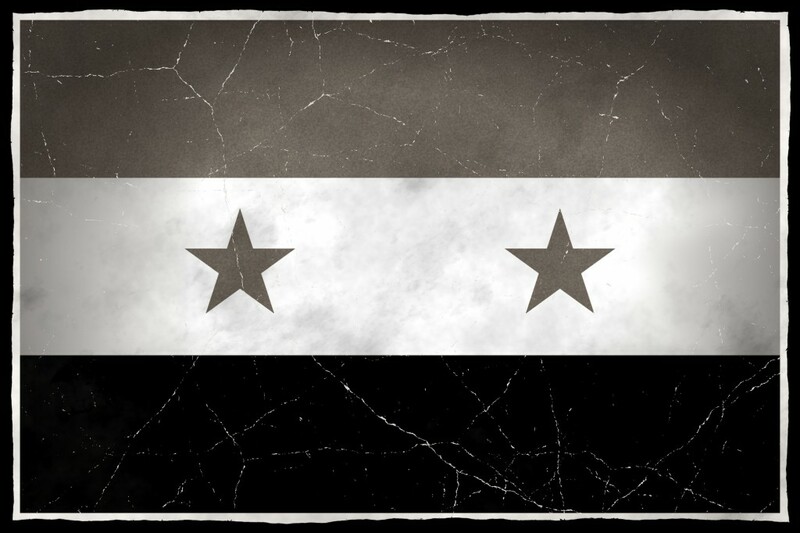 Its allies include various groups among the Syrian rebels, the March 14 movement in Lebanon, the military regime in Egypt, the United Arab Emirates, Kuwait, Bahrain, Jordan, and sometimes Turkey. The Saudis, however, are at something of a disadvantage. They possess no parallel to the IRGC, and have problematic relations with the extreme Sunni jihadists of al-Qaeda, who have played a prominent role in the fighting on all three major fronts. How did this situation come about? Is there evidence of a clear linkage between the various forces on the respective sides? Why is this conflict so extreme in certain countries—like Syria and Iraq—where it appears to be leading to the breakup of these states? How dangerous are these changes for the West? Focusing on the areas of most intense conflict—Syria, Iraq, and Lebanon—can help us answer these questions. 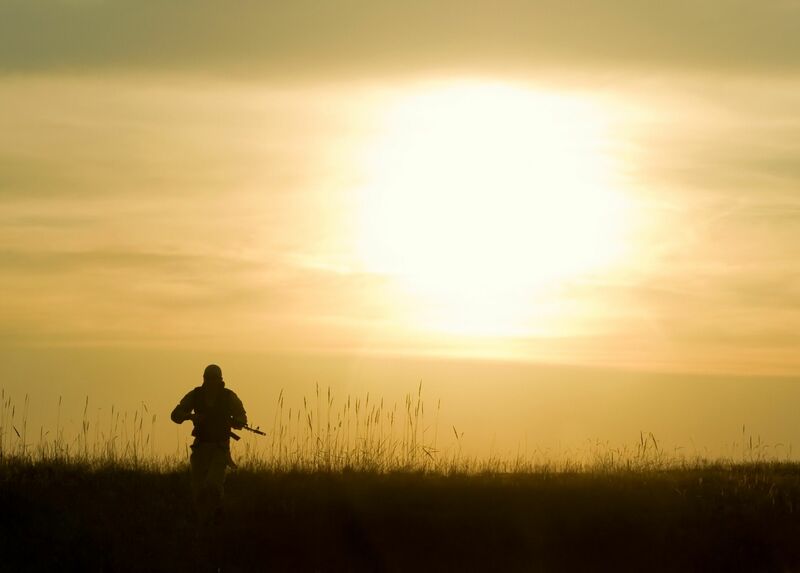 THIS WAR IS A RESULT OF THE CONFLUENCE of a number of circumstances. First, Iraq, Syria, and Lebanon are all home to a host of different sectarian and ethnic communities. The stark divisions that exist in these societies have never been resolved. In Syria and Iraq, they were suppressed for decades by brutal dictatorial regimes. The Assad regime in Syria and Saddam Hussein's in Iraq were family dictatorships based on minority sectarian communities—the Alawis in Syria and the Arab Sunnis in Iraq—while claiming to rule in the name of pan-Arab nationalism. In service of this ideology, the Syrian and Iraqi regimes ruthlessly put down ethnic and sectarian separatism in all its forms; in particular, Shia Islamism in Iraq, Sunni Islamism in Syria, and the Kurdish national movement in both countries. All were treated without mercy. Lebanon, by contrast, is a far weaker state, which was ruled by a power-sharing arrangement between ethnic and religious groups that collapsed into civil war in 1975. The issues underlying that war were never resolved; instead, between 1990 and 2005 the Syrian army presence in Lebanon ended all discussion of basic issues of national identity. Over the last decade, the once ironclad structures of dictatorship and suppression that kept ethnic and sectarian tensions from erupting have weakened or disappeared. The 2003 U.S. invasion of Iraq destroyed the Saddam Hussein regime. A sectarian Shia government, based on the Shia Arab majority and conditionally accepted by the Kurds, took its place. In Syria, a brutal civil war has severely curtailed the power of the Assad regime, which now rules only about 40 percent of the country's territory. The Sunni Arab majority and the Kurdish minority have carved out autonomous sectarian enclaves in the 60 percent that remains. is that Iraqis—whether Kurds or Shia or Sunni or the many other ethnic groups in Iraq—have demonstrated that they really want to live as one in a unified Iraq.... I think particularly the Kurds have shown a propensity to want to bridge differences that were historic differences in many ways that were fueled by Saddam Hussein and his regime... What I have found interesting and I think important is the degree to which the leaders of the Shia and Kurdish and Sunni communities have continually expressed their desires to live in a unified Iraq. This faith is shared by the Obama Administration, and as a result, it has continued to support the Shia-dominated government in Iraq, led by Prime Minister Nouri al-Maliki. It sees Maliki's opposition to Sunni insurgents in western Anbar province as an elected government's opposition to extremist rebels. This fails to take into account the sectarian nature of the Maliki government itself and the discriminatory policies he has pursued against the Sunnis of western Iraq. The reemergence of sectarian conflict so evident in Iraq has also emerged in Syria and is, in turn, spilling over into neighboring Lebanon. Lebanon was first drawn into the conflict as a result of the significant and highly effective intervention in Syria in support of the Assad regime by Iran's Lebanon-based terrorist army, Hezbollah. This quickly led to retaliation against Hezbollah targets in Lebanon by elements among Syria's Sunni rebels. Supporters of the Sunni rebels have succeeded in attacking Hezbollah's Dahiyeh compound in south Beirut five times. The bombing on January 2 was carried out by a young Lebanese member of an organization called ISIS (Islamic State in Iraq and Syria) named Qutaiba Muhammad al-Satem; ISIS are Islamic extremists who have been operating as a branch of al-Qaeda in Iraq and Syria. WHILE HEZBOLLAH'S DECISION TO INTERVENE on behalf of the Assad regime in Syria and the subsequent Sunni reaction is partially the result of the divided nature of Lebanon and Syria and their unresolved questions of national identity, larger regional conflicts, also of a sectarian nature, are a driving force behind the violence. Hezbollah's participation in the Syrian civil war came not as a result of automatic sentiments of solidarity, but because Hezbollah forms part of a regional alliance headed by Iran, to which the Assad regime also belongs. When Assad found himself in trouble, Hezbollah was mobilized to assist him. On the opposing side, the Syrian rebels have benefited from the support and patronage of Iran's rival, Saudi Arabia, and other states along the Arabian peninsula, including the United Arab Emirates. This rivalry is long standing and not primarily rooted in theological differences. It is about power. Iran is controlled by a revolutionary regime whose goal is to become the hegemonic force in the Middle East. Although the Iranians certainly regard the Saudis as an enemy and as unfit custodians of Islam's most holy sites, the Tehran's main goal is to assert control over Arabian Gulf energy supplies, replacing the U.S. as guarantor of resources upon which world is dependent. Tehran understands that the real source of power in the region is the Gulf itself, with its enormous reserves of oil and natural gas that are essential to the global economy. To achieve its goals, Iran must tempt or coerce the Gulf monarchies away from U.S. protection and toward an alliance with Tehran, and ironically, American weakness in the face of Tehran's nuclear pursuit makes that all the more possible. Riyadh has emerged as the principle opponent to Iran's regional ambitions, mainly because the former guarantor of the current regional order, the United States, has chosen to leave the field. Until 2011, the Middle East appeared to be locked into a kind of cold war, in which the Iranians, along with their allies and proxies, sought to overturn the U.S.-dominated regional order, which was based on U.S. alliances with Saudi Arabia, Egypt, and Israel. Events over the last five years, however, have created the impression that the U.S. no longer wishes to play this role: America failed to back its longtime Egyptian ally, Hosni Mubarak, when he faced domestic unrest in early 2011. It failed to support the rebel forces fighting the Iran-backed Assad regime. And it failed to back Bahrain against an Iran-supported uprising in the same year. Now, the U.S. appears to be seeking a general rapprochement with Iran. As a result of all this, Saudi Arabia has begun to take a far more active role in the region. Riyadh and its Gulf allies have certainly helped to finance and stabilize Egypt after the military removed Muhammad Morsi's Muslim Brotherhood government from power. It began to take a leading role in supporting the Syrian rebels. It has well-documented relations with the anti-Syrian March 14 movement in Lebanon. 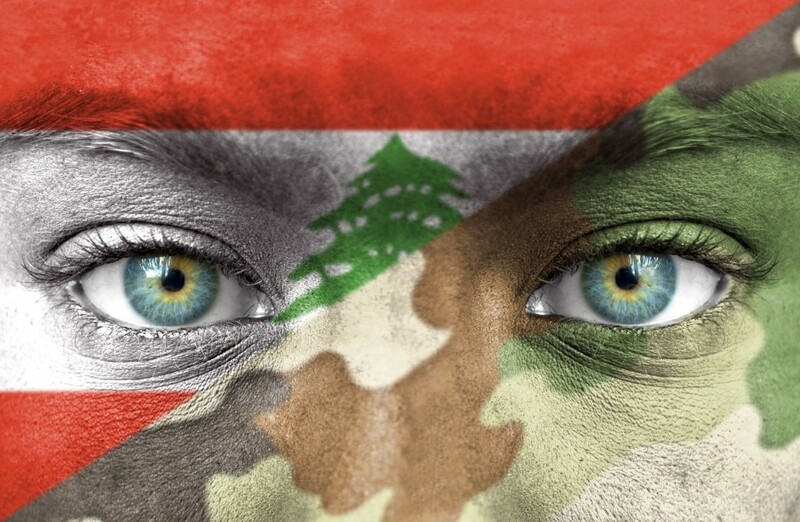 In December 2013, the Saudis pledged $3 billion to the official Lebanese army. They also support anti-Maliki elements in Iraq. In addition, they are seeking to create an alliance among the other Gulf states in order to oppose Iranian ambitions, with some success. This increasingly violent rivalry between Saudi Arabia and Iran, intensified by American withdrawal from the region, has helped turn a conflict that was once cold into an increasingly hot cross-border sectarian war. THERE IS CONSIDERABLE EVIDENCE of links between Iran and Saudi Arabia, on the one hand, and their respective allies in Iraq, Syria, and Lebanon, on the other. On the Iranian side, Tehran no longer makes any serious attempt to deny the enormous assistance they have given the Assad regime in Syria. Indeed, the Iranians have effectively mobilized all their available regional assets in order to preserve it. The commander of the Revolutionary Guards' elite Qods Force, Qassem Suleimani, went to Syria himself in order to coordinate these efforts. Perhaps most notably, in mid-2012 the Iranians began training a new light infantry force for Assad. Called the National Defense Force, it was necessary because Assad was unable to use much of his own army, which consisted of Sunni conscripts whose loyalty was unreliable. Iran has even sent its own IRGC fighters to fight in Syria; a fact revealed by footage taken by an Iranian cameraman who was later killed by the rebels, the testimony of Syrian defectors, and the capture of a number of IRGC men in August 2012. In April 2013, Hezbollah leader Hassan Nasrallah was summoned to Iran and instructed to deploy his own fighters in Syria. Up to 10,000 of them are now on the ground in Syria at any given time, and they played a crucial role in retaking the strategic town of Qusayr in August 2013. Hezbollah fighters are also taking a prominent role in the battle for the Qalamun area near the Lebanese border, as well as the fighting around Damascus. Iranian financial donations have also been vital in keeping the regime alive. In January 2013, Iran announced a "credit facility" agreement with Syria that extended a $1 billion line of credit to Assad. Later the same year, an additional credit line of $3.6 billion was announced. Iraq has also played a vital role in supporting Assad, mainly by allowing Iran to use Iraqi territory and airspace to transfer weapons to Syrian forces. At first glance, this appears to be a strange policy. Relations between Iraq and Syria prior to the civil war were not good, with Maliki openly accusing Assad of supporting Sunni insurgents. But this has now changed. Indeed, Maliki has openly supported Assad since the beginning of the Syrian civil war. This reflects his increasing closeness to Iran, which helped ensure Maliki's emergence as prime minister after the 2010 elections and pressured Assad to support him as well. Relations between Iraq, Iran, and Syria have only improved since. In addition to government support, Iraqi Shia militias are now fighting in Syria on behalf of Assad. The Abu Fadl al-Abbas Brigades, Ktaeb Hezbollah, and the Ahl al-Haq group all have forces in Syria. They are playing an important role, given that one of Assad's major weaknesses is his lack of reliably loyal soldiers. The eruption of violence in Iraq's western Anbar province has further cemented this alliance, since the insurgency is a direct result of advances made by Sunni jihadis in Syria. As a result of all this, the Iranian-led side of the regional conflict has emerged as a tightly organized alliance, capable of acting in a coordinated way, pooling its resources for a common goal, and fighting effectively from western Iraq all the way to the Mediterranean. THE SUNNI SIDE OF THE CONFLICT is more chaotic and disjointed. Saudi Arabia is its main financier, but it lacks an equivalent to the Qods force and the IRGC, who are world leaders in subversion and irregular warfare. 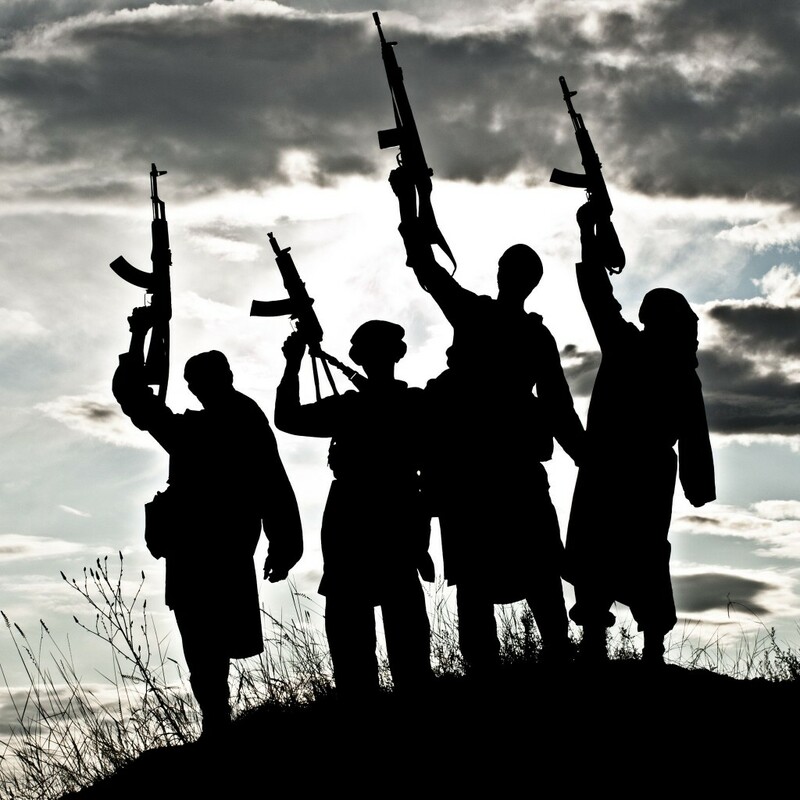 Only the most extreme jihadi elements appear capable of clear coordination across borders. For example, the Islamic State in Iraq and Syria, as its name suggests, is active in both countries and controls a contiguous area stretching from the western Anbar province in Iraq to the eastern Raqqa province in Syria. ISIS regards itself as a franchise of al-Qaeda, although it does not take orders directly from the al-Qaeda leadership in Pakistan. Another al-Qaeda group, Jabhat al-Nusra, is active in Syria. In Lebanon, a third branch of al-Qaeda, the Abdullah Azzam Brigades, has played a role in the attacks on Hezbollah. In addition, both the ISIS and Jabhat al-Nusra are active in Lebanon. But there are also less extreme groups opposing the Syrian-Iranian axis. Saudi Arabia has backed the March 14 movement, which is the main Sunni opposition party in Lebanon, as well as providing financial support to the Lebanese army. In Syria, the Saudis have fostered the Islamic Front, an alliance of eight Islamist groups unconnected to al-Qaeda. It includes some of the strongest rebel brigades, such as Ahrar al-Sham, Liwa al-Islam, and Liwa al-Tawhid. It is now emerging as the key bloc among the rebels. The Saudis also dominate the Syrian opposition in exile, with Ahmed Jarba, who has close links to Riyadh, recently reelected chairman of the Syrian National Coalition. There are no indications that the Saudis are backing Sunni insurgents in Iraq, but the larger Sunni community is certainly looking to Riyadh for help. Relations between Saudi Arabia and the current Iraqi government are very bad. The border between the two countries is closed except during the Hajj pilgrimage, there is no Saudi embassy in Baghdad, and commercial relations are kept at a minimum. Some of the Sunni tribes in western Anbar have close links to the Saudis. While they are hostile to al-Qaeda, they are also opposed to the Maliki government, which they regard as a sectarian Shia regime. There is a third element to this regional conflict that is something of a wild card: The Kurds. 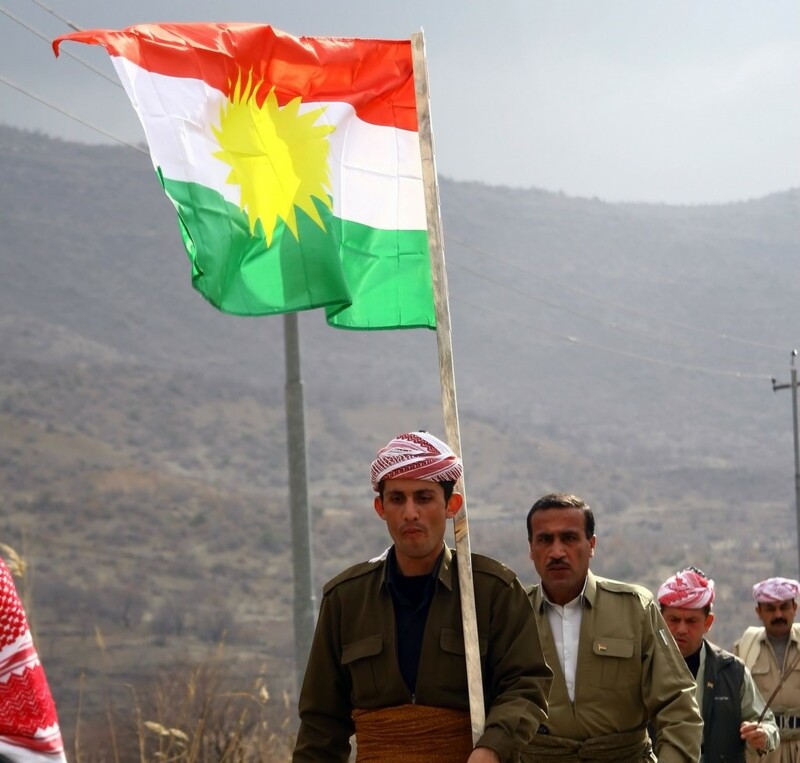 A non-Arab people who have long sought an independent state, the Kurds have succeeded in creating a flourishing autonomous zone in northern Iraq that enjoys most of the elements of de facto sovereignty. Since July 2012, another Kurdish autonomous zone has been established in northeast Syria. These two areas occupy a contiguous land mass, but are not politically united. The Kurdish Regional Government in Iraq is controlled by the Kurdish Democratic Party, led by Massoud Barzani, while the autonomous zone in northeast Syria is controlled by the PYD (Democratic Union Party), which is the Syrian branch of the Turkish-based leftist PKK movement. These movements are rivals, and each sees itself as the appropriate leader of the Kurds. But while there is tension between them, each appears to be securely in control of its respective areas. The Kurds do not enjoy the support of any state in the region, and both the Iranians and the Saudis regard Kurdish national aspirations with suspicion. Nonetheless, the Kurds have managed to accumulate sufficient organizational and military strength to ensure the survival of their self-governing enclaves. All these factors indicate that two rival alliances are clashing for hegemony over the region. There are myriad practical links between the various combatants, and their activities have long since spilled across the borders of the various states involved in the fighting; as indicated by the presence of Iranian fighters, ISIS, and Hezbollah in Syria; Syrian rebels in Lebanon; and many other examples. Iran is the leader of one side, Saudi Arabia is the main backer of the other, while the Kurds are concerned with maintaining their areas of control and are trying to stay out of the conflict. The most significant result of this is that the continued existence of Syria and Iraq as unified states is now in question. Practically speaking, Syria has already split into three areas, each controlled by one of the three elements listed above. Iraq has also effectively split into Kurdish and Arab zones, with Sunni and Shia groups fighting over the latter. In many ways, Lebanon ceased to function as a unified state some time ago; since Hezbollah essentially functions as a de facto mini-state of its own. The Lebanese Sunnis lack a military tradition and have proved helpless in the face of Iran's support for Hezbollah. But now, the emergence of the Syrian rebels and the growing popularity of Islamism among the Sunni underclass may be altering this balance. This appears to be borne out by the recent surge in Sunni violence against Hezbollah, which is the result of an attempt by Syrian jihadis and other rebels—in concert with their local allies—to bring the war to Lebanon. Taken together, this indicates that a massive paradigm shift is underway in much of the Middle East. The eclipse of Arab nationalist dictatorships in Iraq and Syria, the historical failure to develop a unified national identity in these states, their mixed ethnic and sectarian makeup, and the U.S.'s withdrawal from its dominant position in the region—with the resulting emergence of a Saudi-Iranian rivalry—have all combined to produce an extraordinary result: A region-wide sectarian war is now taking place in the areas still officially referred to as Iraq, Syria, and Lebanon. For the West, as in the region itself, this has very serious implications. Dealing with it effectively will required an equally massive paradigm shift in strategic thinking on the Middle East, one that is capable of dispensing with previous illusions and admitting that sovereign borders once regarded as sacrosanct are swiftly becoming meaningless. There are new borders taking shape, defined by sectarian divisions that the West ignores at its peril. Despite fantasies of withdrawing from the region, the security of global energy supplies and the maintenance of regional stability are still essential to Western interests. The West has as large a stake in the outcome of this sectarian conflict as the regional players involved. If it cannot adapt to the new Middle East that is swiftly taking shape, it will find itself on the losing side.